Annie has been a Staff Attorney at the Asian American Legal Defense and Education Fund (AALDEF), where she focuses on immigrant rights and manages and coordinates its Deferred Action for Childhood Arrivals (DACA) pro bono representation project since 2014. She monitors and analyzes immigration policy developments and issues relating to the DACA program, and advocates for policies that advance immigrant rights. Before joining AALDEF, she was the Robert L. Carter Fellow & Associate Counsel at The Opportunity Agenda, a New York City nonprofit, where she was engaged in developing messaging guidance used in advocacy for pro-immigration policy solutions and coordinating communications strategy with immigrant rights and civil rights groups. For close to 20 years, Annie practiced immigration law at a mid-sized general practice law firm, advising clients on business and family immigration issues. 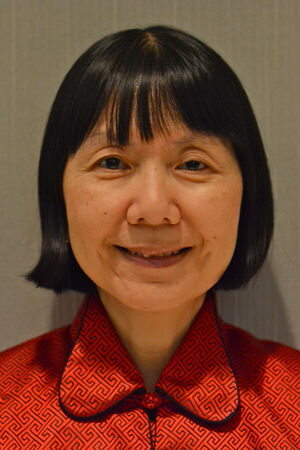 She is an active member of the immigration bar, having served on the Board of Governors of the American Immigration Lawyers Association (AILA), co-chaired the Media and Advocacy Committee of AILA’s New York Chapter, and chaired the Immigration and Nationality Law Committee of the New York City Bar Association. Annie is also a member of the Asian American Bar Association of New York (AABANY)’s Pro Bono and Community Service and Immigration Law committees. In her role with AABANY’s Community Response Taskforce, she helped to plan and organize DACA renewal clinics, including know your rights presentations, following the Sept. 2017 announcement of the termination of DACA. Annie was a trustee of the American Immigration Council, as well as a member of its Community Education Center Committee.